In the wake of the #J14 protests against rent prices in Tel Aviv, it may come as a surprise to some that there is an even grimmer housing crisis in Israel that is getting virtually no attention. Indeed, few are aware that, on average, twice as many house demolitions take place within Israel’s 1948 borders as in the Occupied Territories of the West Bank and East Jerusalem. 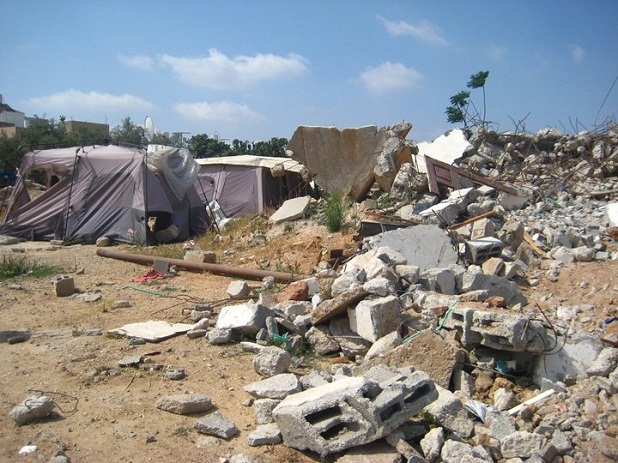 95% of these demolitions are carried out against Palestinian citizens of Israel. Demolitions that target Arab homes are certainly not a new issue inside Israel: as many as 800 were destroyed last year, according to the Israeli Committee Against House Demolitions (ICAHD). Because many lack the difficult-to-obtain housing permits, tens of thousands more are at risk of demolition. 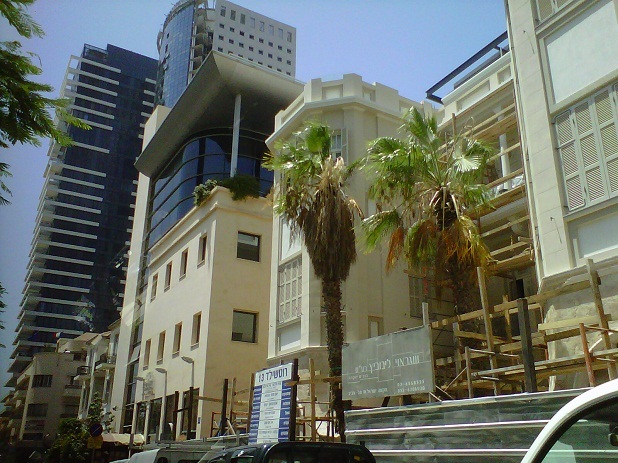 In Tel Aviv’s neighbouring city of Lod, with a Palestinian population of 27,000, a Jewish-only high-rise neighbourhood, where the prerequisite to rent and buy property is to have served in the Israeli Army, overlooks the demolition site of seven homes belonging to the Abu Eid family. The Abu Eid compound and the Jewish neighbourhood were once both zoned as “agricultural land” by The Land Authority which controls 93% of land in Israel. 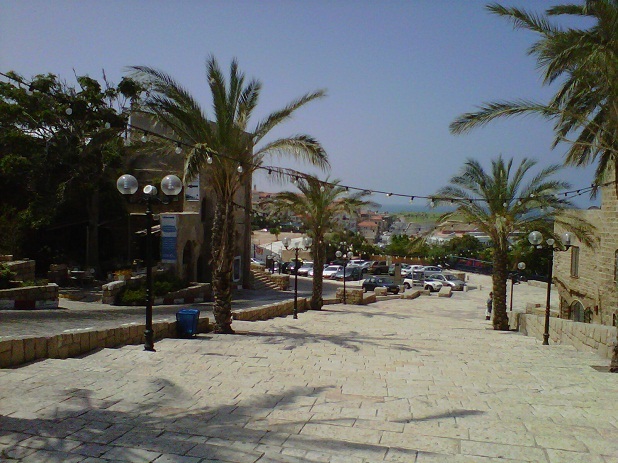 While the Lod Municipality re-zoned the land on which the Jewish neighbourhood was built in order to allow construction to take place, similar petitions by the Abu Eid family, who technically own the land on which their homes stood, were rejected by the municipality. The seven family homes were demolished in December 2010, leaving 70 people, 27 of whom are children, destitute. 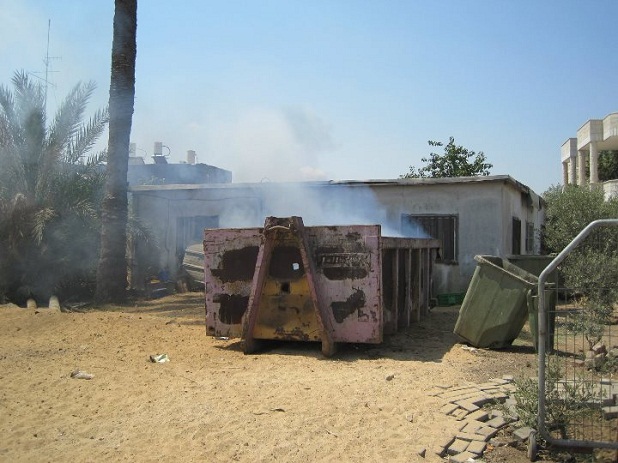 Itay Epshtain, the co-director of ICAHD, said: “I’ve been to countless home demolitions, but few as violent as that one. A police officer cocked his M-16 rifle at me and said, ‘If you don’t stand back, I’m going to shoot you’. 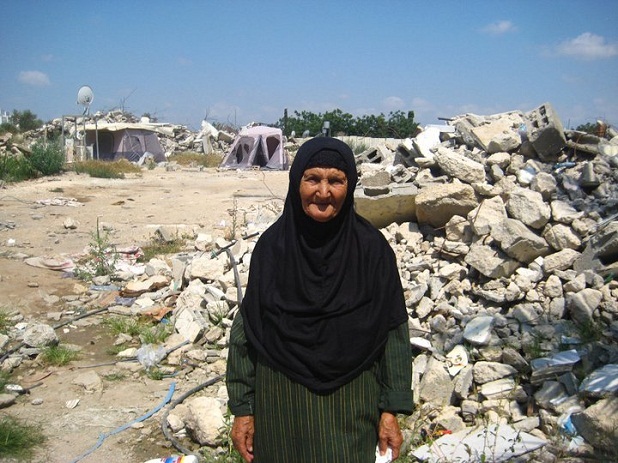 “They used the army, attacked women, broke arms,” said Wasfieh Abu Eid, the 73-year-old family matriarch, as she waded through the detritus of her home of nearly five decades. She said she spent four days in hospital after “the police threw me to the ground” on that fateful winter’s day. When I visited in July, six months after the demolition, her oldest son had been placed under house arrest in the tent pitched on the ruins of his former house for attempting to rebuild. Like many of the 1.5 million Palestinian citizens of Israel, Wasfieh Abu Eid, whose family is originally from Northern Israel, is no stranger to displacement. 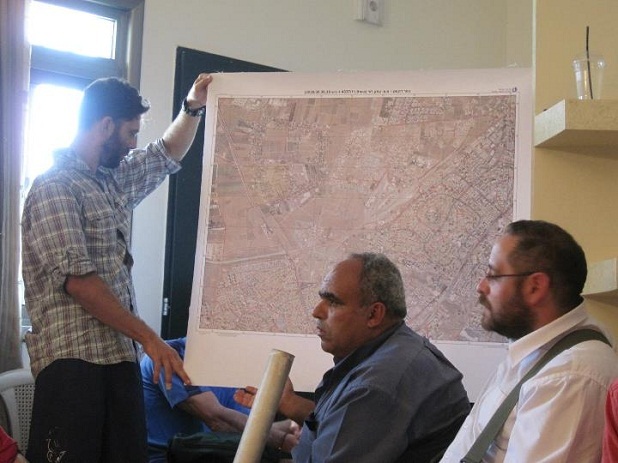 Similar stories of dispossession were echoed in the unrecognised Arab village of Dahamesh where all of the village’s 70 homes, housing around 600 residents, built on privately owned Palestinian land, have been issued with demolition orders. Due to its unrecognised status Dahamesh falls within the remit of neither the neighbouring municipalities of Lod nor Ramleh. 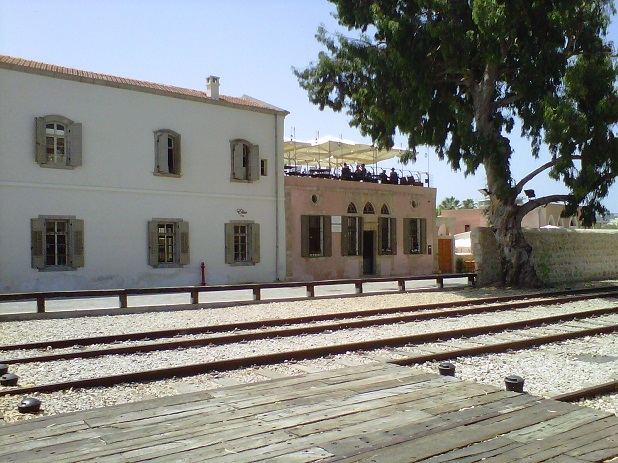 Instead, Dahamesh is the only Arab locality that falls under the jurisdiction of the Lod Valley Regional Council, a district of kibbutzim and other Jewish-only settlements. Most of Dahamesh’s inhabitants are internally displaced Palestinians who were forced to leave their original homes during the Nakba (The Catastrophe). In the aftermath of Israel’s establishment in 1948, the State seized the majority of their land, including their homes, leaving them with only 15% of their original land. As in the West Bank, this land is often zoned as “agricultural,” with the zoning then used as a pretext by the authorities’ to deny building permits to Arab Israelis. Internally displaced Palestinians were not re-housed or given compensation by the State following the loss of their land and property, forcing them to build without permits; a situation which continues to this day. Arafat Ismail, The Chair of the Popular Committee of Dahamesh, explained: ‘As far as the Regional Council is concerned, the 600 people in Dahamesh do not exist. We do not receive any council services: no electricity, water, sewage system or garbage collection. The village has been appealing to the law for a guarantee of proper service provision’. In the meantime, the village’s residents paid for the building of their own sewage system. Despite the difficult situation faced by the residents of Dahamesh they remain positive and steadfast as they continue to wage a legal and moral battle for the existence and recognition of their village. The only request they made of us was to help them find an international locality which would be willing to twin with Dahamesh. The Twinning Network in the UK promotes solidarity and exchange between British and Palestinian localities. Currently, Birmingham is twinned with Ramallah, Cardiff is twinned with Balata Refugee Camp, and Manchester University is twinned with Bir Zeit University. Official refusal to recognise Arab-populated towns and villages within Israel is not exceptional in any case. There are an estimated 45 unrecognised Bedouin villages in the Negev/Naqab. The residencies of 100,000 people do not exist on any official maps. I visited Hasham Zaneh, considered to be one of the better-off Bedouin villages because of its proximity to the Be’er Sheba highway. As in Dahamesh, Hasham Zaneh was not connected to any amenities. The Israeli government has offered to supply the community with water and electricity in exchange for the surrender of their land ownership rights, an offer that is considered unacceptable by the Bedouin communities. One of the main issues of contention between the Israeli state and the Bedouin continues to be the question of land ownership. In 1948, 110,000 Bedouins residing in the Bersheba-Demona-Arad Triangle in the Negev/Naqab were transferred to Jordan by the Israeli authorities. Only 11,000 remained in the newly-founded State of Israel. Currently, around 185,000 Bedouin, originally from the Negev/Naqab, live in overcrowded townships built by the State during the 1970s, where they face high unemployment rates and very poor education provision. Most of those who chose to be relocated to the townships were those without land. 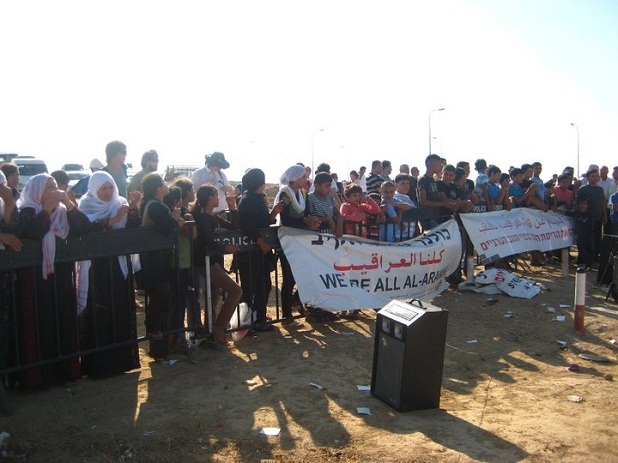 The remaining Negev Bedouins have been resisting displacement since 2001. Amended land laws label the Bedouin trespassers on their own lands, effectively criminalising their presence in the Negev/Naqab and making whole communities subject to evictions and demolitions. 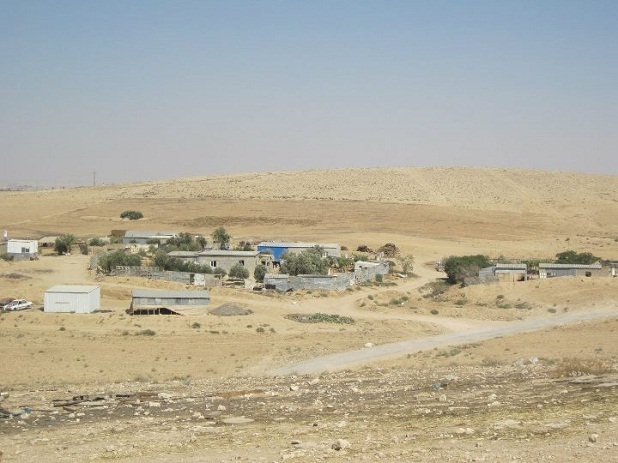 A Hashem Zaneh community representative said: ‘The State keeps the Bedouin in a permanent state of underdevelopment. We spend most of our time concerned about the security of our homes and villages, and worried about access to basic amenities such as clean drinking water, rather than putting our energies into education and attainment’. The Bedouin, alongside other Arab Israelis, are waging a legal struggle for the recognition of their communities. By Israel’s own standards, every 50 households are considered a “community”, yet the smallest Bedouin village has over 150 households. They also want the state to recognise and respect their herder lifestyle: “The authorities argue that raising livestock is not a profitable venture, but a neighbouring Jewish settlement in which 50 families were given thousands of dunams by the state to graze cattle are prospering from the opportunity they were given. All we ask for is the same respect and recognition to be shown to us’. As the siege of Gaza continues alongside an entrenched Occupation in East Jerusalem and the West Bank, and with glaring inequality and discrimination against Arab Israelis, the situation in Israel-Palestine appears tragically hopeless. Moreover, as the largest Israeli mass movement since Peace Now refuses to take a stance on the Occupation and remains silent on the topic of Arab discrimination, and with fears of #J14’s takeover by the Settler Movement abounding, addressing the prospect of equal rights and freedoms for Jews and Palestinians in Israel and The Occupied Territories has never been a more urgent task. My next report will examine what remains of the Israeli Left and whether the upcoming vote on the UN recognition of a Palestinian State will signal the end of the conflict–or simply a new stage in its development. This is a powerful article. Really looking forward to more firsthand reports, & photos. An excellent, chilling portrayal of blatant, brutal racism and policies of ethnic cleansing to which our UK government and the US turn their blind eyes.